Liverpool is a city that’s long been overshadowed by its own caricature. Built on clichés and contradictions, it’s both the nostalgic home of the Beatles, and a place of ferociously passionate football fans, strikes and riots. It seems that Liverpudlians are depicted as either warm and welcoming, or hardened ‘scousers’; with no real grey area in-between. Having never visited Liverpool, these clichés were our only impressions of the city (aside from the discontinued soap opera, ‘Brookside’). Yet, having been born and bred in Milton Keynes, there are perhaps no two people more aware of the power of negative stereotypes. As such, we booked our weekend in Liverpool with a sense of excitement and curiosity. 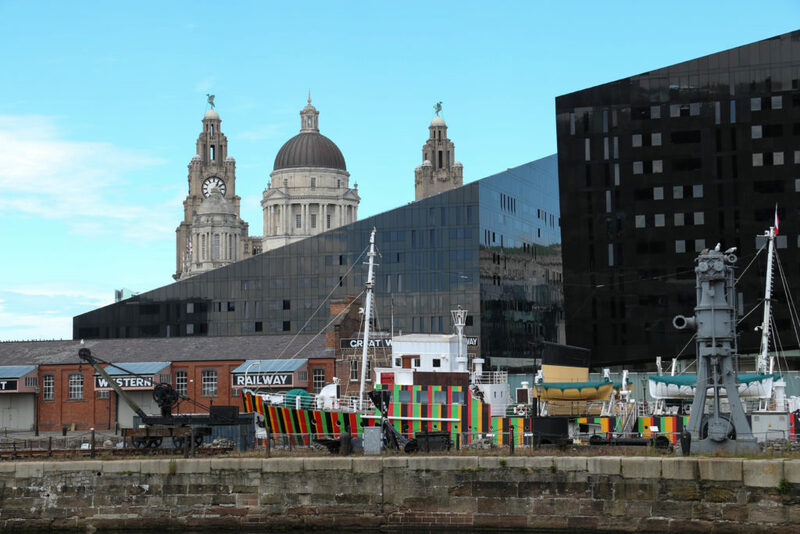 A city that has undergone its very own an ugly duck transformation – beginning with its baptism as a European ‘City of Culture’ in 2008 – Liverpool has benefitted from extensive urban regeneration, including revamped boutique-lined lanes and creative dockland spaces. 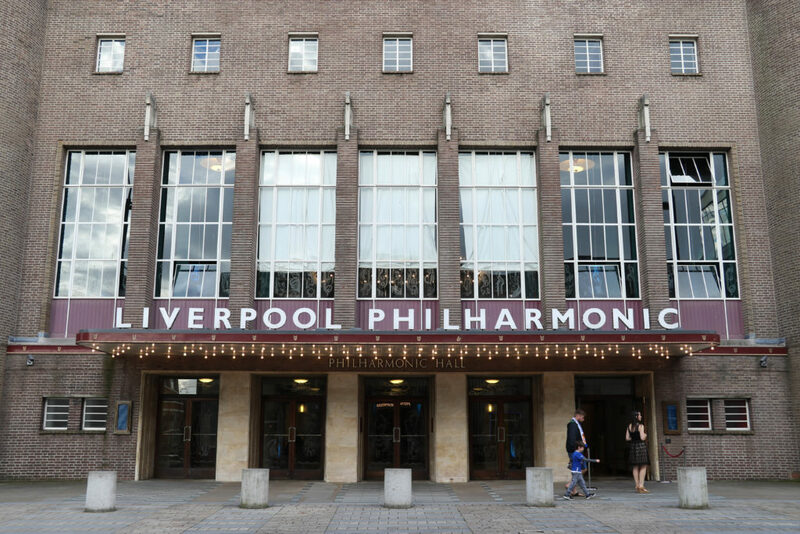 Indeed, when it comes to what to do in Liverpool, you’ll find yourself overwhelmed with choice. Arriving into Liverpool Lime Street station, the journey taking just two hours from London Euston (the average off-peak return costing £48), we were struck by the beautiful array of buildings facing us. 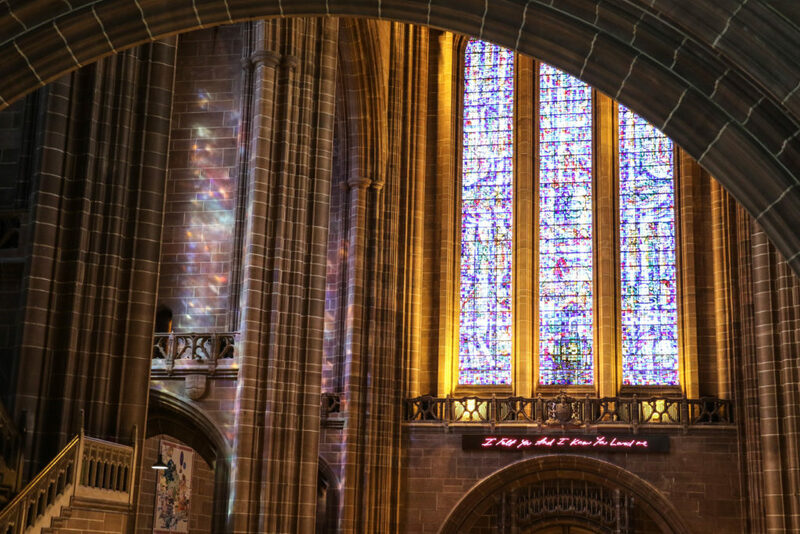 Described by English Heritage as England’s finest Victorian city, Liverpool boasts over 2,500 listed buildings, with large parts declared by UNESCO to be a World Heritage Site. This is certainly something not mentioned in and amongst the many clichés used to define this city, and is perhaps reason alone to spend a weekend in Liverpool. Wandering through this area, also known as the Cultural Quarter, we realised just how many attractions the city offers (boasting more museums than any other city outside of London). In terms of selecting things to do in Liverpool, a visit to this area offers the chance to wander the halls of the brilliant World Museum; the beautiful St. George’s Hall; the Walker Art Gallery; Wellington’s Column; St John’s Gardens and the Liverpool Central Library, which is said to rival even New York’s Public Library. 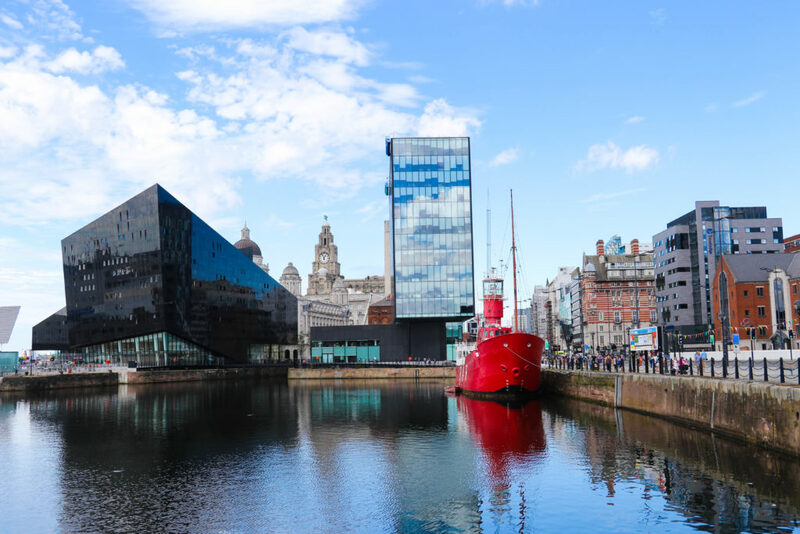 Outside of the Cultural Quarter, there are many more museums and galleries to visit: The Tate Gallery (a must for all modern art fans); the Museum of Liverpool and the International Slavery Museum. This museum, although a bit unsettling, offers a morbid peek into Liverpool’s past, when it once posed as a key player in the slave trade between West Africa, the West Indies and England. Here you can see the shackles and chains that were once used on slaves, alongside personal accounts taken from captain’s diaries. Although a little dark, it’s definitely worth a visit. 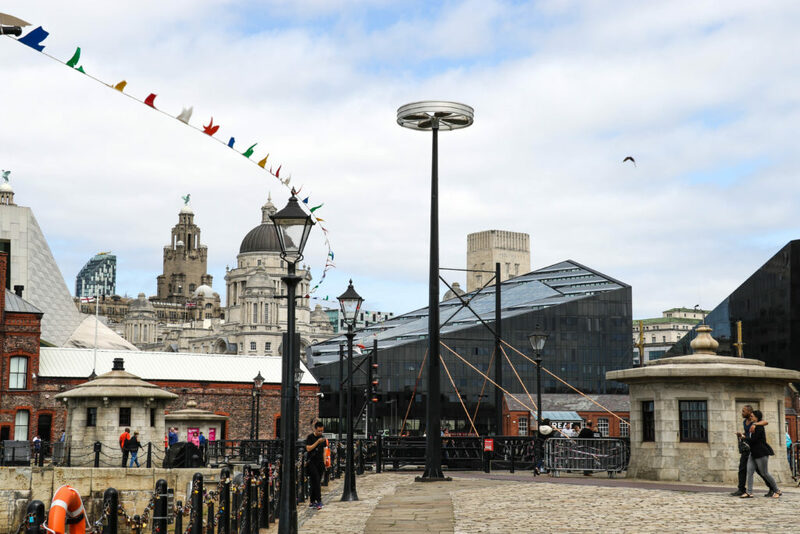 Before embarking on your weekend in Liverpool, you can book your tickets for all these attractions through the following website. On this particular trip to Liverpool, we stayed at the beautiful Hope Street Hotel (when we spent yet another weekend in the city, we stayed at the city’s majestic Titanic Hotel). We were immediately impressed by the beautiful area where Hope Street was located, known locally as the Georgian Quarter. Featuring newly re-cobbled streets and handsomely renovated Georgian houses, the area felt a little like West London; complete with brightly coloured delis and independent restaurants. We later found out that film companies often record in this beautiful red-bricked area when recreating 1920s New York. Indeed, it is the second most popular urban film location in Britain, after London. From our hotel, we next walked to Liverpool’s infamous Albert Dock: a place that perhaps tops any list of things to do in Liverpool. On the way down, we came across many independent eateries, shops and boutiques, each as individual as the next. We eventually stopped at The Brunch Club for lunch – a brilliant, fun and vibrant spot that offers brunch daily, until 5pm. After chatting to the lovely staff there, we followed their directions down to the Docks. Albert Dock comprises of the largest gathering of Grade 1 listed buildings in the country, and is an incredibly photogenic spot. Crammed with galleries, museums, places to eat and plenty of ice-cream stands, you could spend your entire weekend in Liverpool here. There is also an impressive skyline on display; an eclectic mix of old red-brick towers and shimmering high-rise buildings. Many of the grand buildings throughout the city were built during Liverpool’s golden age as a trading post, when merchants insisted that they would need fine-looking buildings to encourage trade. 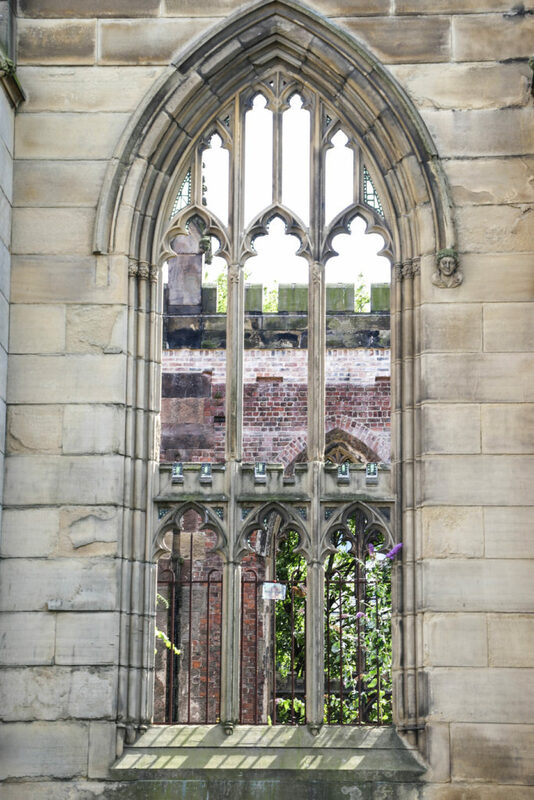 Worth visiting are Liverpool’s two cathedrals and its infamous ‘bombed-out church’ (Church of St. Luke). This church – or what remains of it – was largely destroyed during the Liverpool Blitz of 1941, leaving behind a roofless shell. Where pews and alters once stood is now a jungle of thick plants and flowers, which can be seen through the eerily pristine windows. For dinner, we headed to Liverpool’s well-known Bold Street. For any fellow greedy travellers out there, this place is a foodie’s dream. 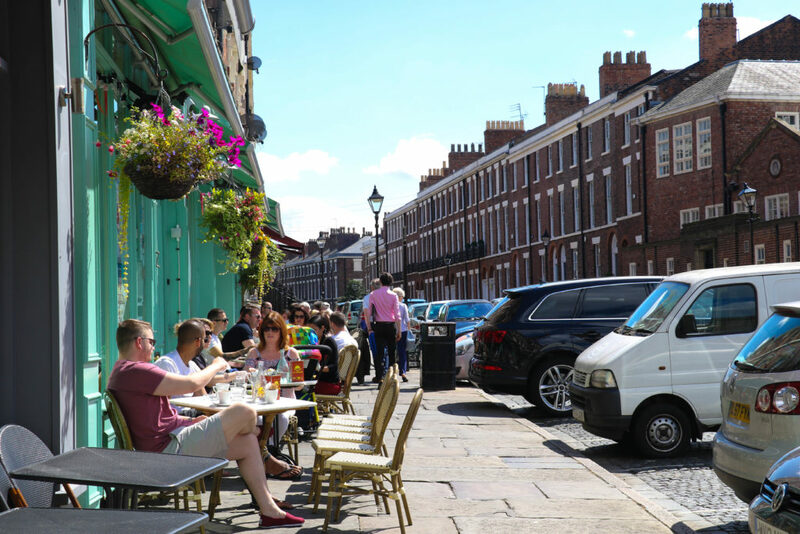 Bursting with independent restaurants and cafes – offering everything from Turkish to Indian food, Fish and Chips to Korean dishes – this is definitely the place to eat during your weekend in Liverpool. 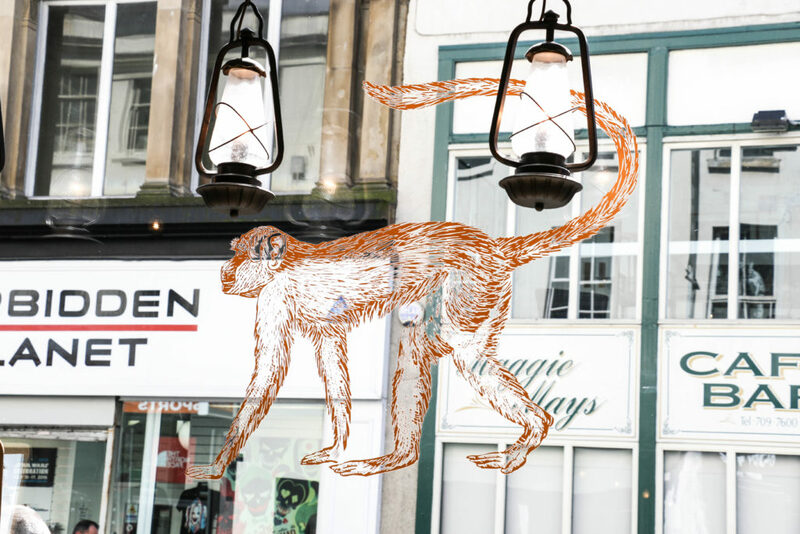 We enjoyed meals at a few spots on this street, eating first at Bakchich for dinner – an amazing Lebanese restaurant – and then at the effortlessly cool Mowgli, where Indian street-food is served on glittering silver trays. Our dinner here was by far one of the best meals we’ve had in a long time. 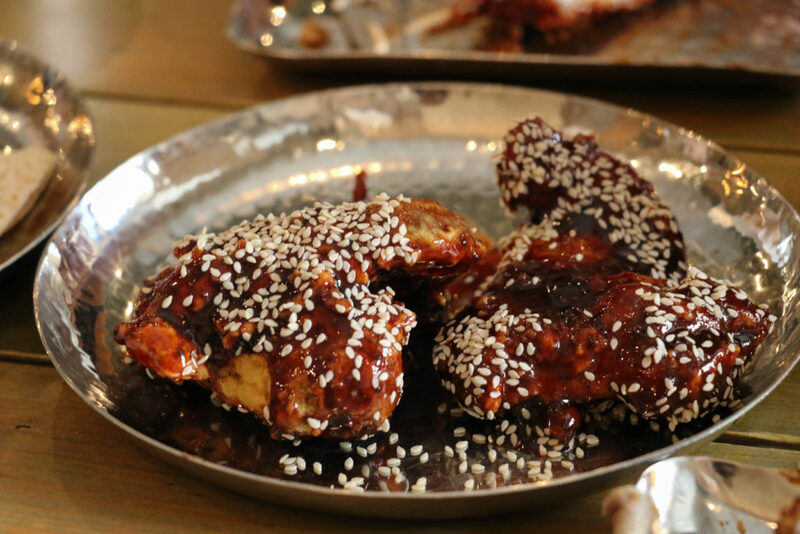 Definitely be sure to try the Gunpowder Chicken if you visit. For brunch the next morning, we visited the incredible Alma de Cuba, which featured a full singing, full dancing gospel choir, who serenaded us over plates of Eggs Benedict. When considering things to do in Liverpool, let brunch here be high on your list. When night fell in Liverpool, we headed out to sample the city’s renowned nightlife. Although our dancing days are probably behind us, Liverpool’s are certainly not. 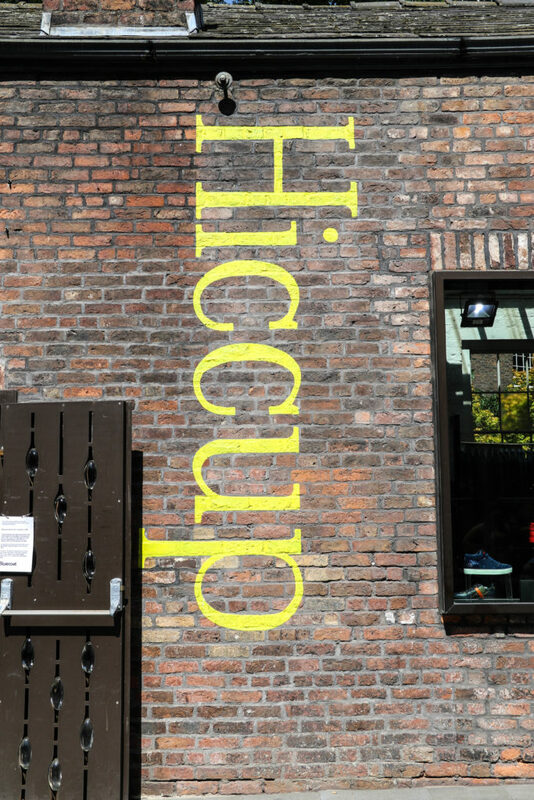 We walked across town to the hipster paradise of The Baltic Triangle. Formerly a neglected cluster of disused warehouses, units and outhouses, the triangle has now been dubbed Liverpool’s answer to New York’s meat-packing district. Quite the accolade. 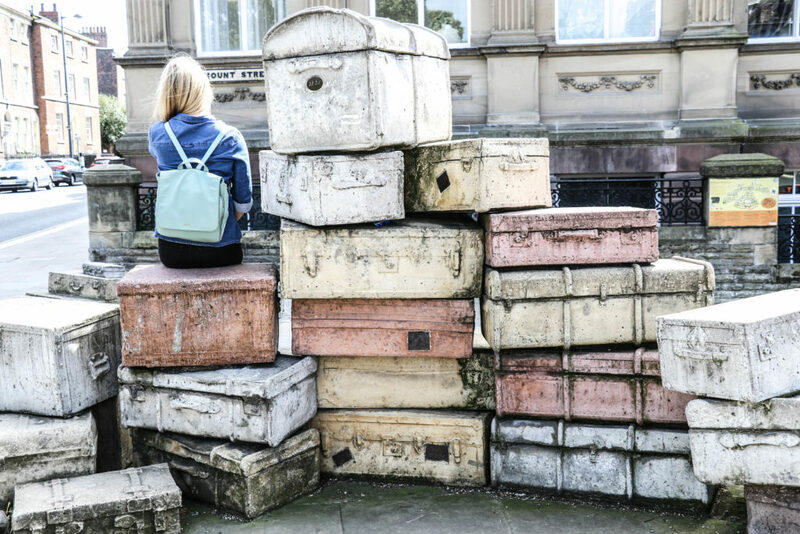 A now vibrant microcosm of artists, musicians, bars, cafes and creative spaces, the triangle provides an exciting community for Liverpool’s up-and-coming. 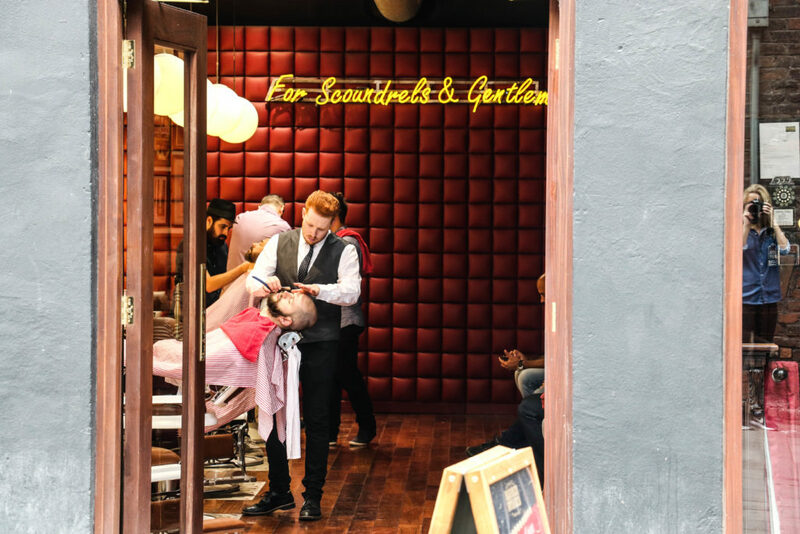 Here, we came across a few great bars, including Camp and Furnace and Constellations that are both worth a visit. In terms of what to do in Liverpool, shopping is certainly one of the city’s favourite pastimes. Indeed, for any retail addicts out there (myself included), Liverpool offers something of a retail Mecca. From its dazzling new retail centre: Liverpool One, to its endless amount of cute boutiques and craft shops, you could easily spend an entire weekend here hammering the plastic. 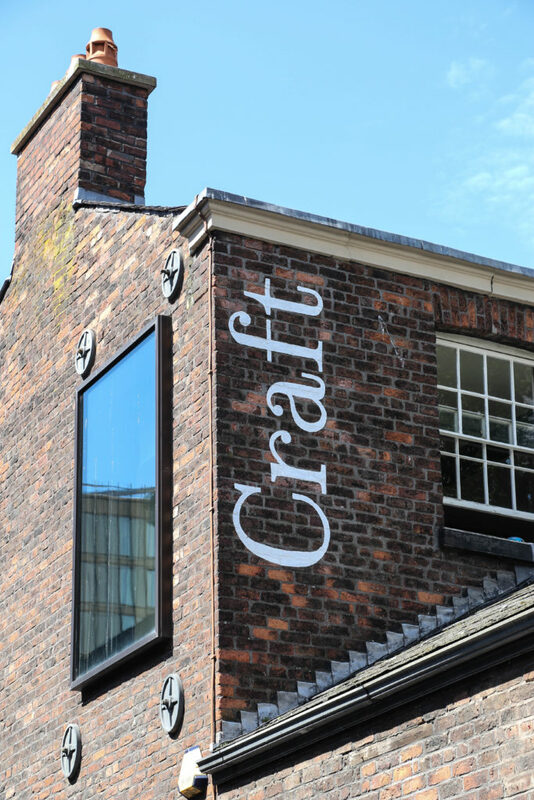 In particular, we really enjoyed browsing the Bluecoat Centre, with all its many art, print and crafts shops. For all interior design lovers, we would also recommend visiting Cow+Co, for its carefully crafted homeware items. After pounding the pavements of Liverpool for two days, it wasn’t long before it was time to head home. A city whose reality could not be more far removed from the image so often reflected onto it, our weekend in Liverpool made for a brilliantly memorable trip. Modern, grand, innovative and undeniably fun, Liverpool is a city leaving its heavily stereotyped image behind; showing other UK cities how it should be done. Indeed, it is a place that cannot wait to visit again. "Travelling with your sibling: why everyone should try it"
Thanks for sharing this! As someone who isn’t a Beatles fanatic, I’ve never really given much thought to visiting Liverpool. But the city looks beautiful, and I love the architecture. Definitely will add a visit here to the list! Hurray! We’re not huge fans either, but there is so much else to do and see, it really wasn’t a problem at all! What a beautifully written and informative piece! I’ve got to visit Liverpool now! Lovely to read about your trip. I first visited Liverpool last summer and it’s definitely somewhere I want to return to as although I packed a lot in, there was still plenty that I had missed out. Brunch at Alma de Cuba sounds great… I went for cocktails and the samba dancers in the evening but I like the sound of the Gospel Choir. Thanks for sharing! Awesome post. Your writing is really captivating! 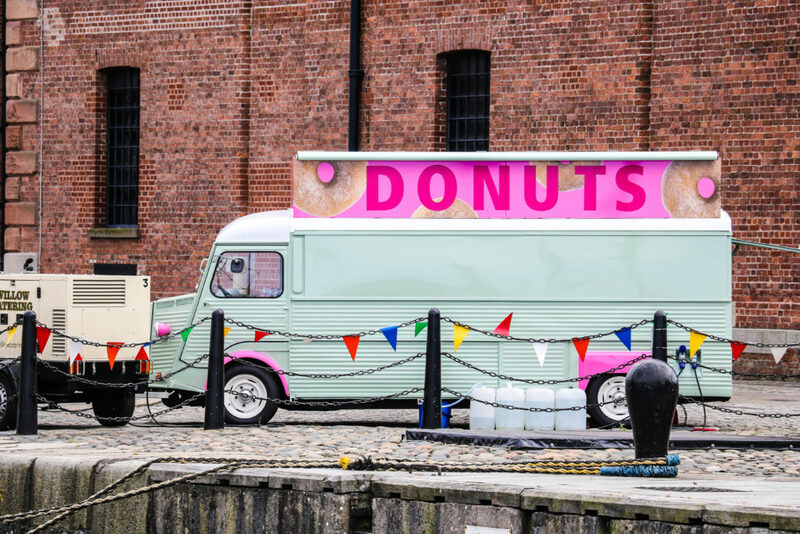 I love the idea of the Baltic Triangle – i’ll have to visit when I’m next in the UK. Yes you certainly did me and my home city proud, Laura. What a fantastic write-up, mentioning most of the City’s highlights and dispelling tired old stereotypes.